What is the Harmony Group? Our Harmony Group was originally formed when Yeadon Westfield Junior School worked towards the Stephen Lawrence Award. We were really pleased to achieve Level 2 of the award. The focus at that time was to raise awareness of different cultures and to encourage respect for others and their beliefs or way of life. The Harmony Group work closely with the School Council and continue to promote these values. They help to lead assemblies and projects in school, particularly those which reflect different cultures or promote the idea of "Living in Harmony", both within our school community and beyond. Every year the group organise "Fairtrade Fortnight" and are currently working towards gaining Fairtrade status. They also help to lead 'Anti-Bullying Week'. The Harmony Group are supporting a local foodbank's appeal for food and toiletry supplies for the summer holidays. We have set a target of filling 1 box per year group of key food items that the foodbank is in particular need of during the holidays. Please see the poster below for information about those key food and toiletry items and, if you would like to help, please kindly send your donation into school before the end of term. The Swedish students came to visit the children at Yeadon Westfield Junior School on Tuesday 28th November to observe and ask questions on school life in England. The children had great fun showing the students around the school and they were very enthusiastic when asking the Swedish students questions. What is it like in Sweden? It snows quite a lot and it is very cold. What are Swedish schools like? The children don’t have to wear uniforms, they have a normal school dinner like we do, however they don’t have dessert. Do you have school Councillors in schools in Sweden? Yes, and they change each month to allow children to have a fair turn. What is Christmas like in Sweden? We celebrate Christmas on the 24th December and Santa comes during the day to us. We have Ham instead of Turkey but the rest of our meal is the same as the English Christmas dinner. What is your average school day? How do your school years roll? What is the general school age for children in Sweden? Nursery to year 6 and then the children go on to high school the same as English children do. 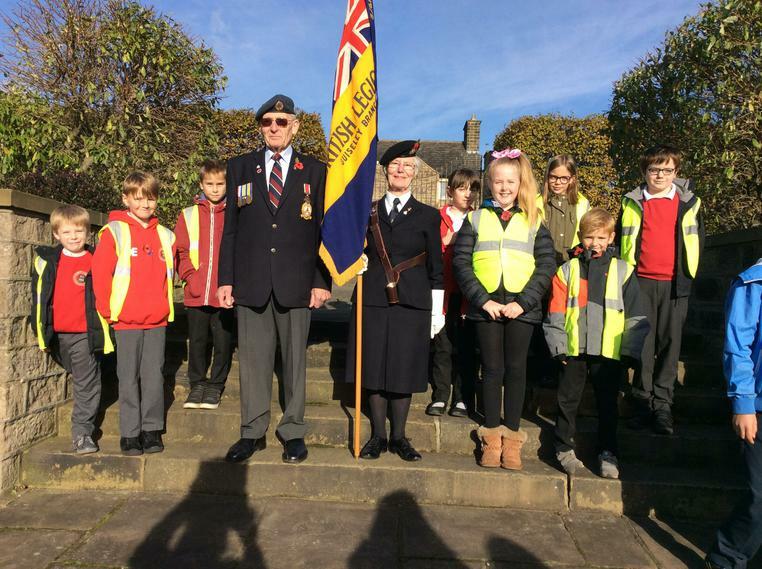 Today the Harmony Group joined some other children from local schools to observe a 2 minute silence for Armistice Day at Guiseley Memorial Garden. 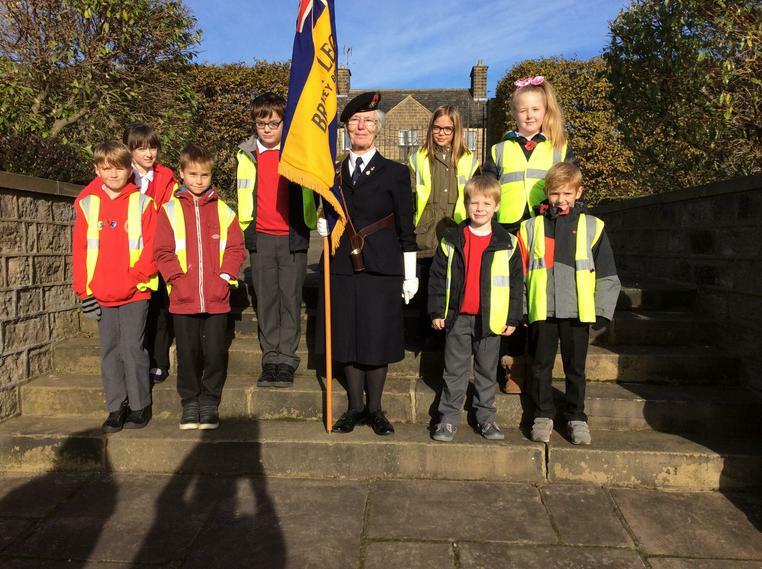 It was a very poignant, special event to be part of and we would like to thank Elsie Turner for inviting us take part in it. 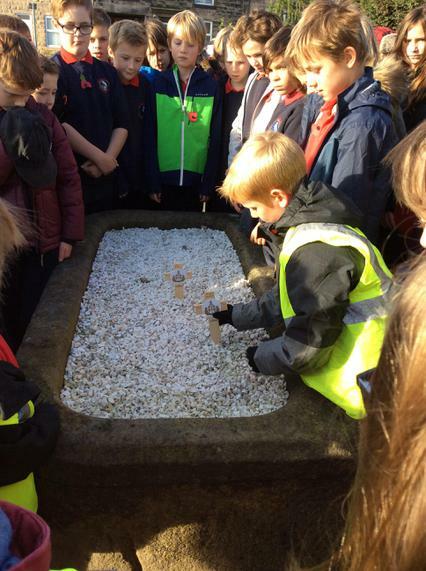 Jude from 3L placed a memorial cross in the garden to remember the friend of a soldier (who is now 103 years old) who was killed in battle. 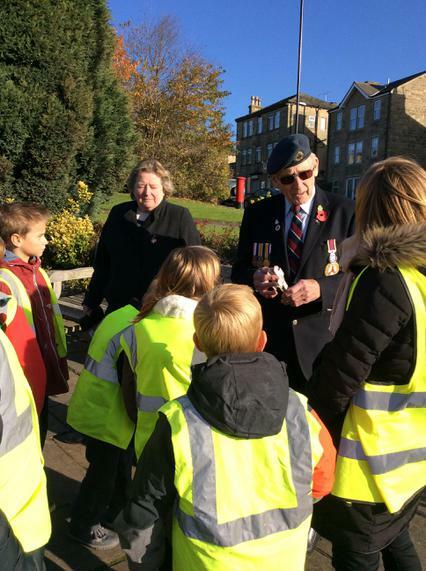 Jessica in 5H said, "I enjoyed listening to Larry (a soldier who was also at the service) talk about his medals and the how he fixed planes and tanks during the war." Alex in 3B said, "It was interesting to read the names of the soldiers in the memorial garden." "I enjoyed the memorial because of the facts I learnt about how soldiers gave their lives to save our lives," said William in 6M.